When travelling to a new city for business or pleasure it’s nice to take some time off and soak up a bit of the local atmosphere. To help you to enjoy your stay in Milton Keynes, we’ve compiled a list of our favourite local pubs in our neck of the woods for our discerning guests to sample. We hope that you have an opportunity to enjoy at least one of these inviting places during your stay with us in one of our serviced apartments in Milton Keynes. The modern style pubs are located within walking distance from our apartment locations, but if you fancy the more traditional style pub and to sit outside, then within a short drive you will find some quaint places as listed in our top five. 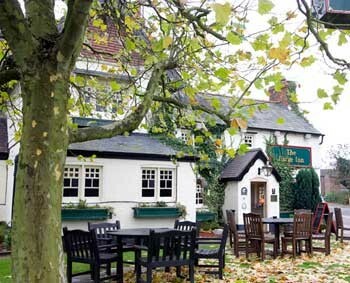 This is a traditional country pub and restaurant in the village of Woolstone. It oozes rural charm and rustic character and is set in picturesque surroundings of the Grand Union Canal. 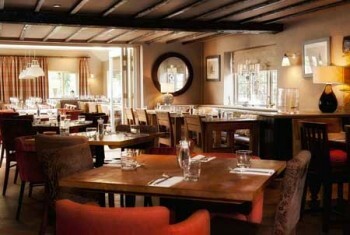 The owners provide seasonal pub-food and serve carefully nurtured cask ales and fine wines at the bar. During the cold winter months you can sit and enjoy a drink or meal against the backdrop of a roaring log-fire. Or make the best of the British summertime by eating alfresco in the beer garden. 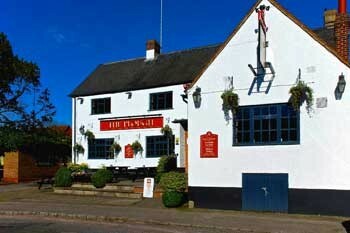 This traditional pub restaurant is a historic gem located at Woughton-on-the-Green, on the outskirts of Milton Keynes. The pub restaurant dates from Tudor times and has retained many original features and old world charm. They offer tasty traditional pub food and seasonal dishes including a range of delicious smoked and seasoned meats prepared on their own smoker. Ye Olde Swan is located in a village on the outskirts of Milton Keynes next to Ouzel Valley Park and a short walk from the Grand Union Canal. The area was the location for many ancient settlements and today Ouzel Valley Park is dotted with the remains of medieval villages and their associated fishponds. 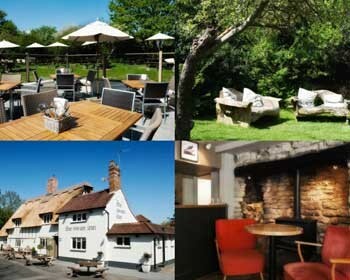 Located in Milton Keynes Village, this beautiful 13th century thatched country pub and restaurant is a personal favourite for it’s food, alcoholic beverages, alfresco dining and the amazing atmosphere – just love it! It just oozes a rustic, rural charm. The orchard beer garden is perfect for those glorious summer days. You will find beds of herbs and vegetables which are used in the freshly made meals they serve. The pub is well supported by many of the local business in the area. Accessible by land or water, this cosy waterside pub serves unpretentious pub-food. There is a lovely decked dining area overlooking the Grand Union canal, making this pub an ideal treat during the Summer months. If you are looking for a traditional ‘out-of-town’ pub that stocks a great selection of cask ales, crisp lagers and hand-picked wines and spirits, then this is the one to visit. Beers and Ales are supplied by the local brewer, Charles Wells, who has been producing premium beer for over 130 years. The pub stocks many of Charles Wells’ award winning beers to tempt your palette including Bombardier and Eagle IPA as well as Guinness and a number of guest ales from around the country – all guaranteed to ensure you get a thirst quenching pint. The Plough is another one of Milton Keynes most reviewed pubs located on the banks of the Grand Union Canal. This one is in the picturesque village of Simpson in Milton Keynes, just 4 miles from Central Milton Keynes. Milton Keynes has so many pubs, bars, restaurants, cafes…the list is of places to relax and enjoy a drink or two, or even a meal is endless! This list is just a starting point from which you may begin to enjoy the social-scene of Milton Keynes. Cotels Head Offices are on Avebury Boulevard in Central Milton Keynes and many of our staff live locally to the area so are well positioned to offer all our guests hands on information on where to go and what to do in any available spare time. If you are staying in one of our serviced apartments in Milton Keynes, don’t hesitate to contact us for advice on where to go and how to get there.